Residents say it is not acceptable to allow this type of behaviour in our neighbourhoods, and believe that to report their findings to the police is the correct way to go. The police are asking residents to report any concerns they have to local officers or Crimestoppers on 0800 555 111. 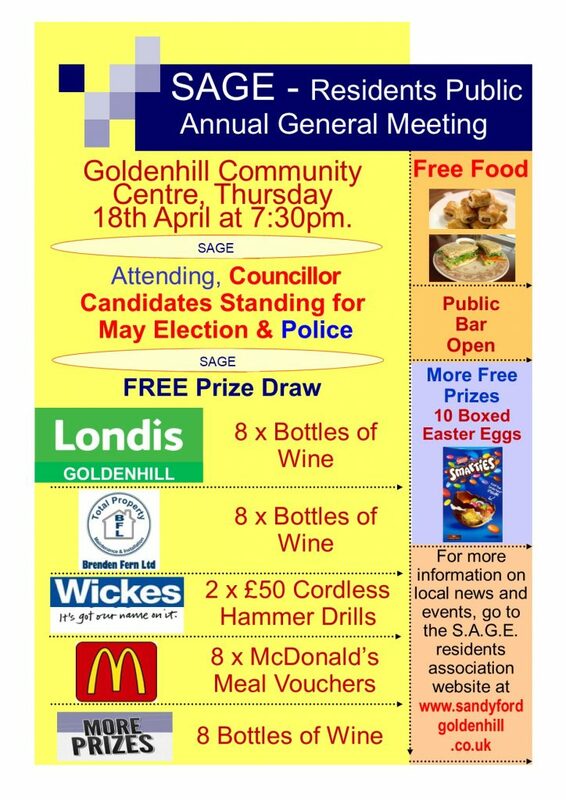 The three candidates have been invited to attend the next Sandyford & Goldenhill Residents Association (SAGE) Public Meeting, which is to be held on Thursday 18th April, 7.30 p.m. Goldenhill Community Hall/Centre, Drummond Street, Goldenhill. This will give residents an opportunity to ask questions and listen to all three candidates before deciding who they would like to vote for. 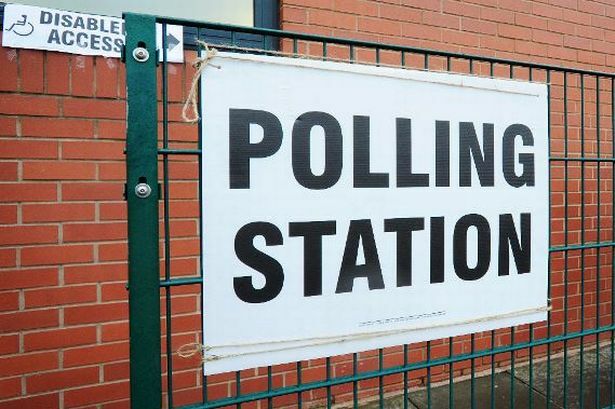 Across the City of Stoke on Trent there will be a total of 147 candidates contesting 44 seats in the May council elections. The event will be held at Goldenhill Community Hall/Centre and Village Green, where the Tractor Train will start it’s magical ride, and taking in views across to Newchapel and it’s picturesque church, to seeing the historic Mow Cop Castle on the horizon before coming back to Goldenhill’s big day event. This new added attraction will cost only £1 per person, so why not come along with your family for a ride you will never forget. 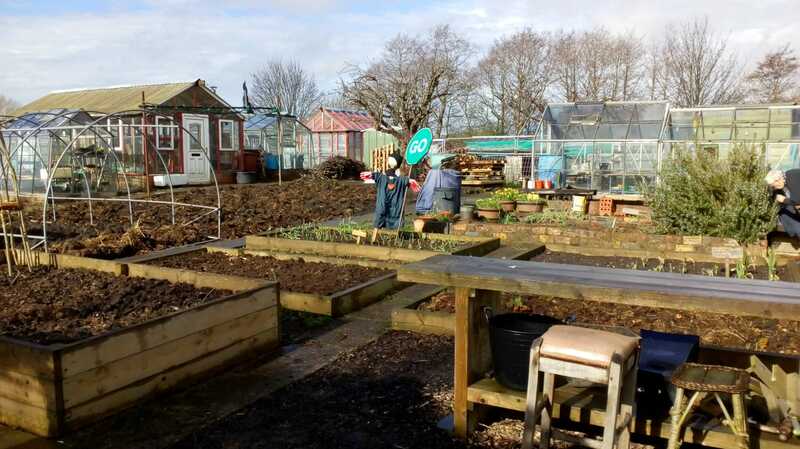 The new community allotment scheme will grow vegetables for local community projects and Young at Heart’s own social groups. They are appealing for men aged 55 or over to come and help out. Les Ellis reminisces about the old days in Goldenhill during the 1950’s and 1960’s. Les tells us that he attended the GSM from 1957 to 1961 and then took an apprenticeship at Cowlishaw & Walkers iron foundry at Knypersley, and after 12 months taking home a pittance in wages he went to work in the pottery industry and his wage trebled, wow he say’s he thought he should have done it earlier ! 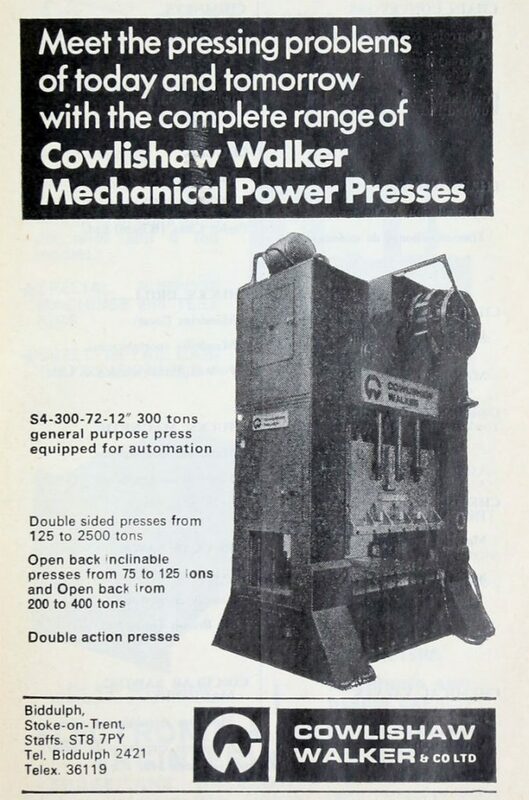 Anyway, he worked in various departments at various factories until the age of 20 when he became a van driver delivering pottery to various shops, and at 21 became a truck driver working for a small company at the top of Sneyd hill called Henry Fox. Les stayed there for a while before starting with BRS and Beresfords, “good old days”; 1980 saw him doing his first continental trip to Italy with them, what an experience that was, no sat nav and very little motorways in those days, just your book of lines (atlas), but after a good while you get to know when and where not to stop! Well after retirement from the trucking industry 7 years ago, his last job being a container driver, easy job that is you only have to open and close the doors, it’s loaded/unloaded by others, and as an active pensioner of 72 he still likes to travel, so he’s got a caravan and tours the UK and travels to Spain for the winter, loving life until the next reminisce. 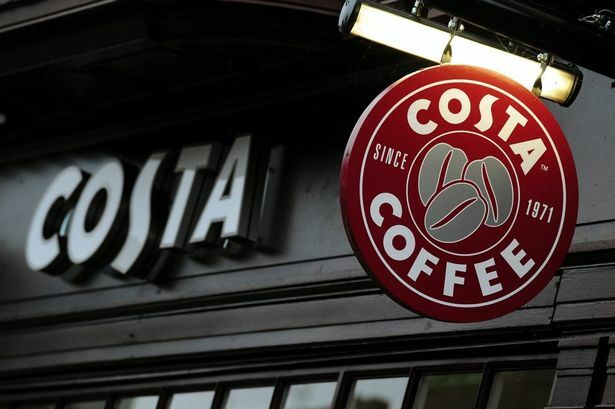 The Birmingham based owners have questioned the sustainability of the building when having been instructed by the council to comply with a section 215 notice, where the owner has been ordered to replace the roof and tidy up the site, which has not been complied with. It has been reported that the side gates to the site on Elgood Lane are open to access, and concerns are that with children being off school next week that there is a need to close off the site before anymore antisocial behaviour takes place. 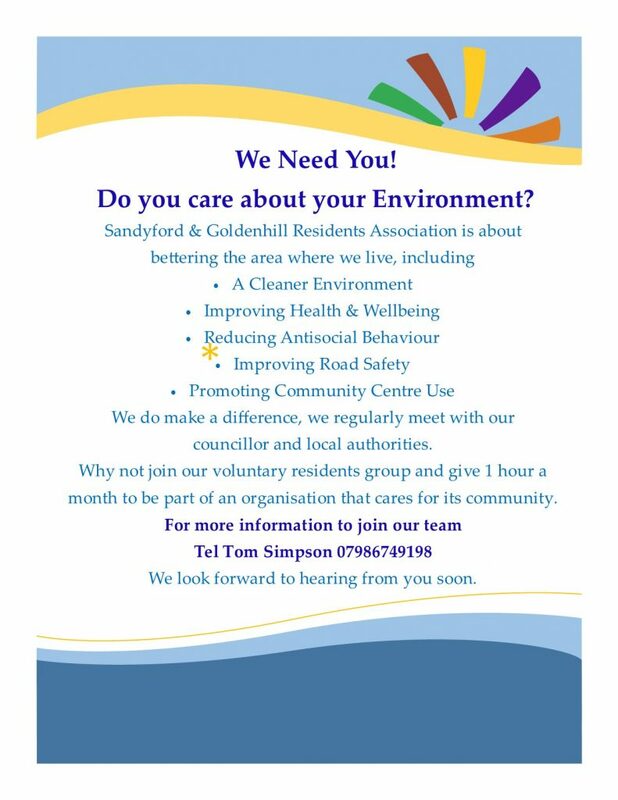 Sandyford & Goldenhill Residents Association at it’s committee meeting this week has reported the access concerns to the council’s Open Access Officer so the situation can hopefully be addressed. 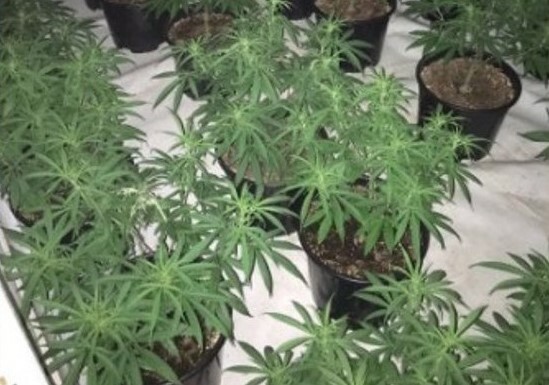 Staffordshire Police have now carried out two warrants at the addresses mentioned, which has meant a successful outcome to where a quantity of both cannabis plants and class A drugs were seized. 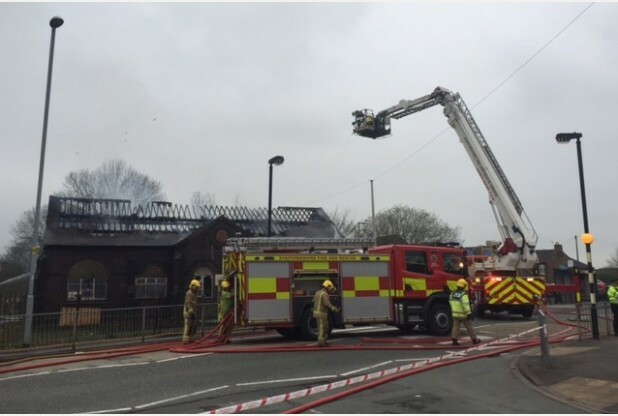 The police further advise that the investigation is still ongoing.